Posted 21.08.2016 by Fascinating Rhythm & filed under News. Thursday evening, 11th August. 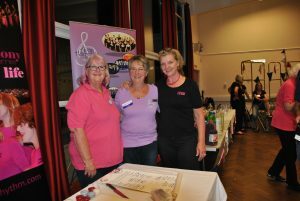 Women from across Bristol and South Gloucestershire joined together at Fascinating Rhythm’s rehearsal hall in Winterbourne to celebrate the 40th anniversary of Ladies’ Barbershop Singing in the UK, and it was a truly enjoyable event, thanks to some inspired liaising between the Chairwomen of their respective Choruses. 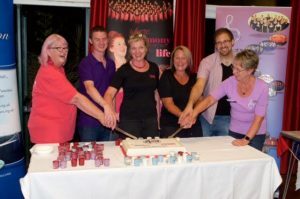 The Ladies Association of British Barbershop Singers (http://www.labbs.org.uk) runs a national network of Ladies’ Choruses and holds an annual convention competition, this year in Harrogate. 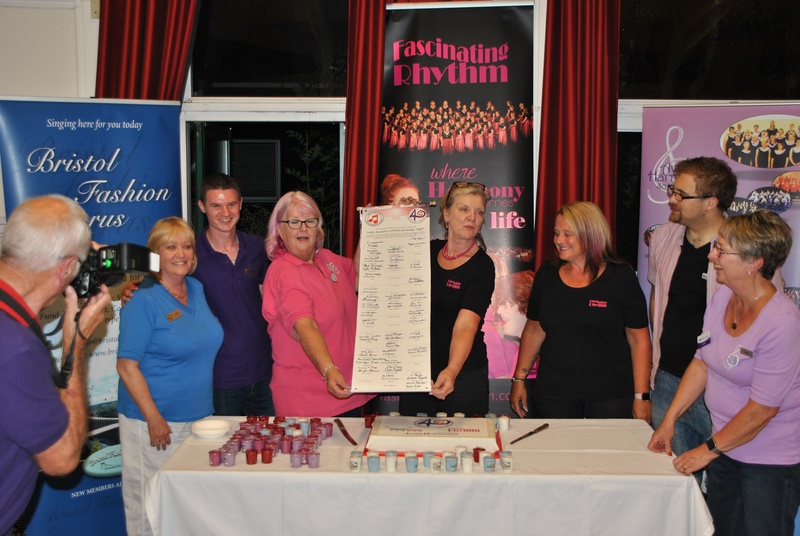 Throughout 2016, LABBS Choruses have been signing a Beacon of Harmony scroll, which has travelled around the country from Chorus to Chorus and will end up in Harrogate at Convention at the end of October. 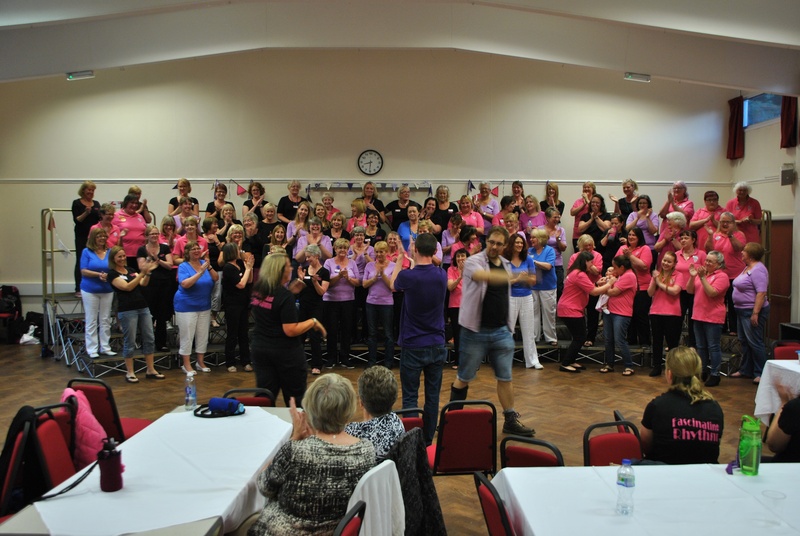 This special event was attended by around 100 singers from our three local Choruses; Avon Harmony, Bristol Fashion and Fascinating Rhythm, and a delegation from Cardiff Style who handed on the Beacon. Old and new friends mingled over supper, singing together and for each other, led by their Musical Directors Alex de Bruin, Craig Kehoe and Jo Dean. receive the Beacon Scroll from Cardiff Style on behalf of our local Choruses and we look forward to passing it on to Cleeve Harmony on 24th August”. Jackie Boffin, Chairman of Avon Harmony, drew the evening to a close and expressed her pleasure at seeing and hearing so many chorus members enjoying food and music together in this special year of Ladies Barbershop. More pictures on our Gallery page. Lazy Day with 3 MDs!